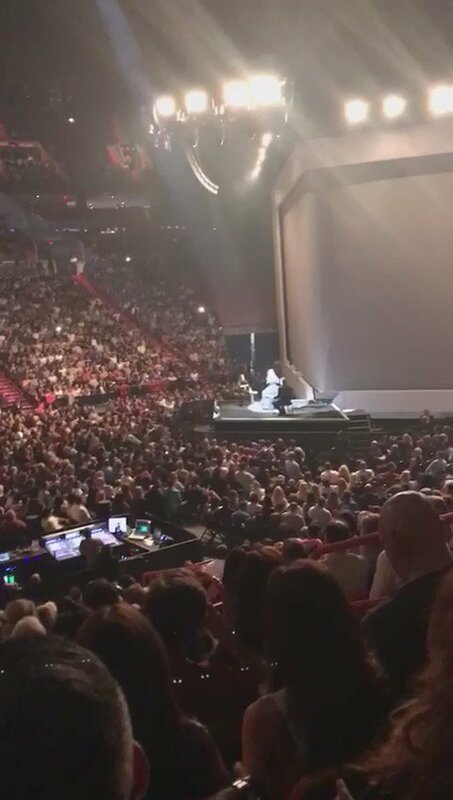 The presidential election may be only two weeks away, but that didn’t stop Democratic nominee Hillary Clinton from making a surprise appearance at Adele’s Miami concert Tuesday night. And good thing she did ― Adele took a moment between songs to announce her support for Clinton’s campaign. Unclear if Adele knows HRC is in the audience tonight. If so, she hasn’t mentioned it and HRC has no plans to go on stage, per an aide. It’s unclear whether Adele knew Clinton was in the audience. Still, the singer likely is aware that the Democratic nominee is a fan. During a March interview with SiriusXM, Clinton said she was a big Adele fan. “That is my go-to voice, she added. “I’m English but what happens in America affects me too” – Adele Endorses Hillary Clinton During Miami Concert 0 out of 5 based on 0 ratings. 0 user reviews.